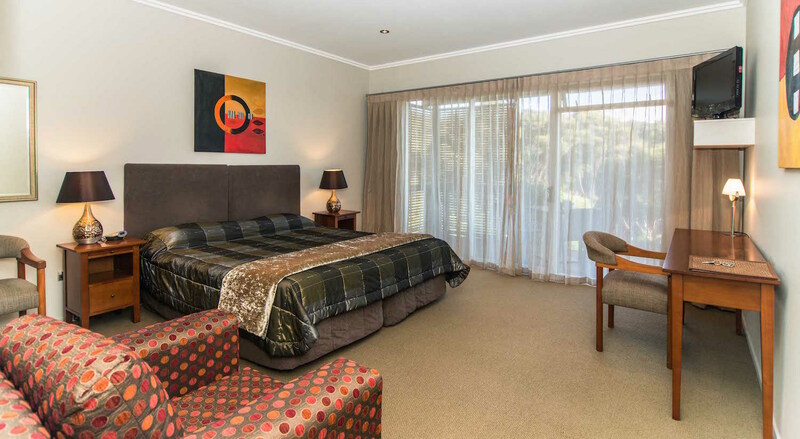 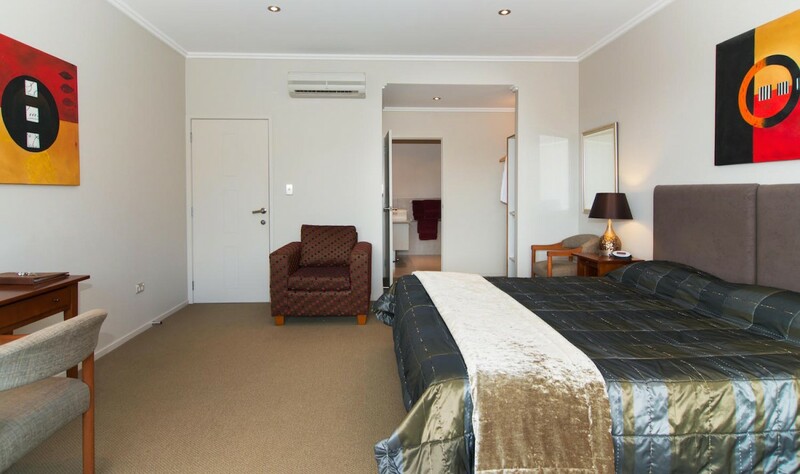 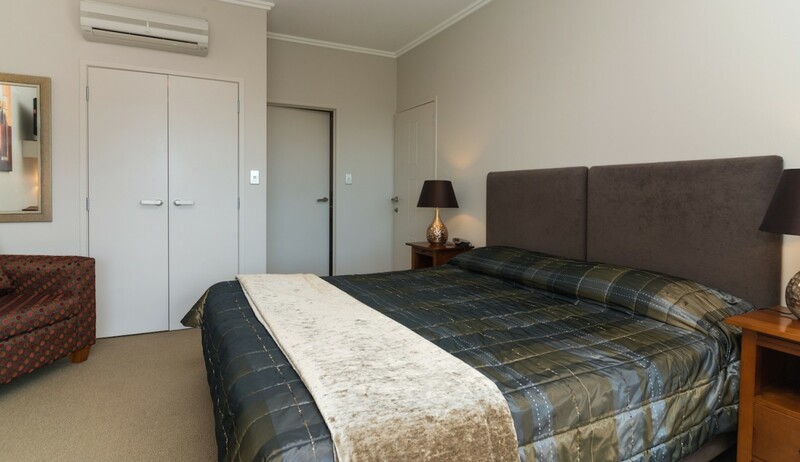 The B&B guest rooms at Decks of Paihia are stylishly furnished and offer superking sized beds with all-cotton bed linen for the ultimate in comfort. 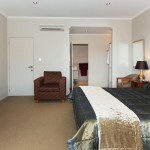 Each room contains tea/coffee making facilities, TV/DVD for your personal use and modern ensuite bathroom. 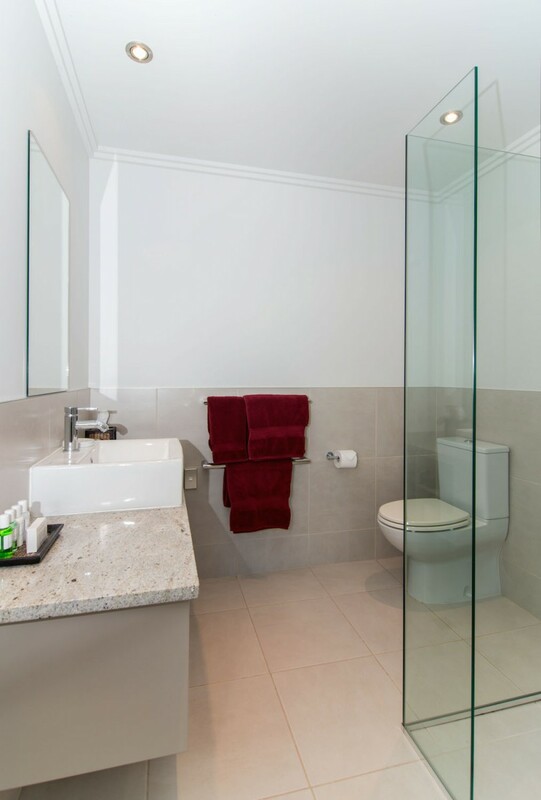 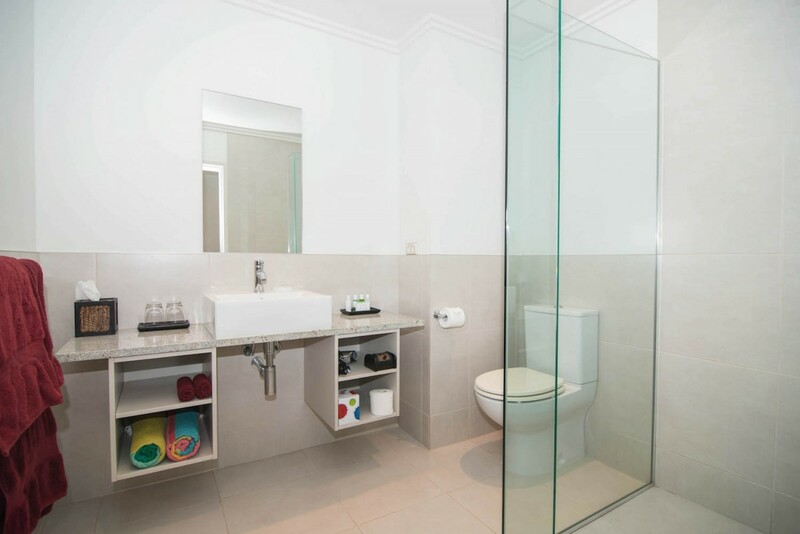 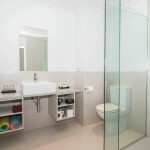 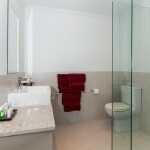 The bathrooms are equipped with heated mirrors, heated towel rails and hair dryers. 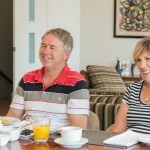 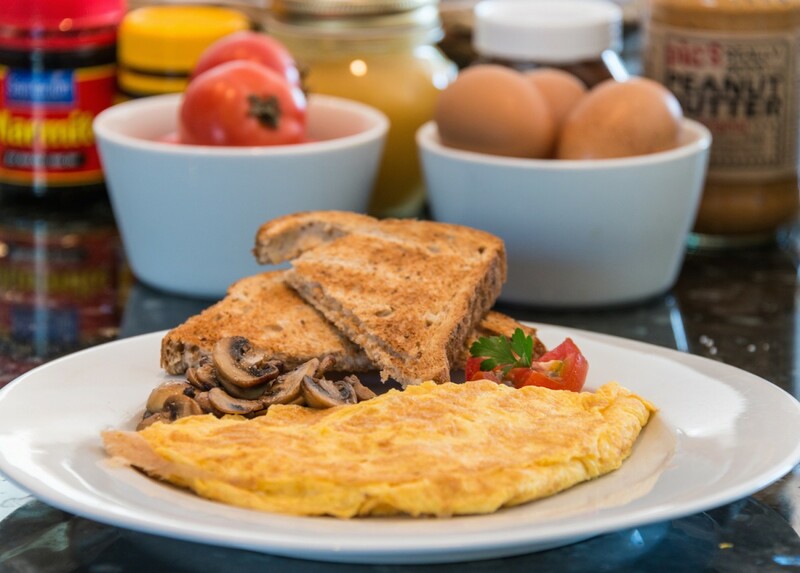 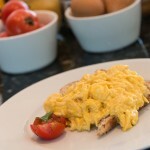 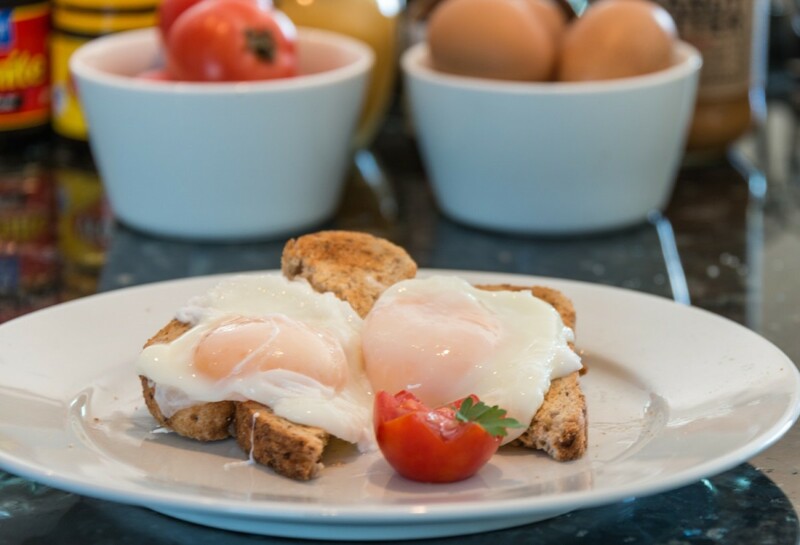 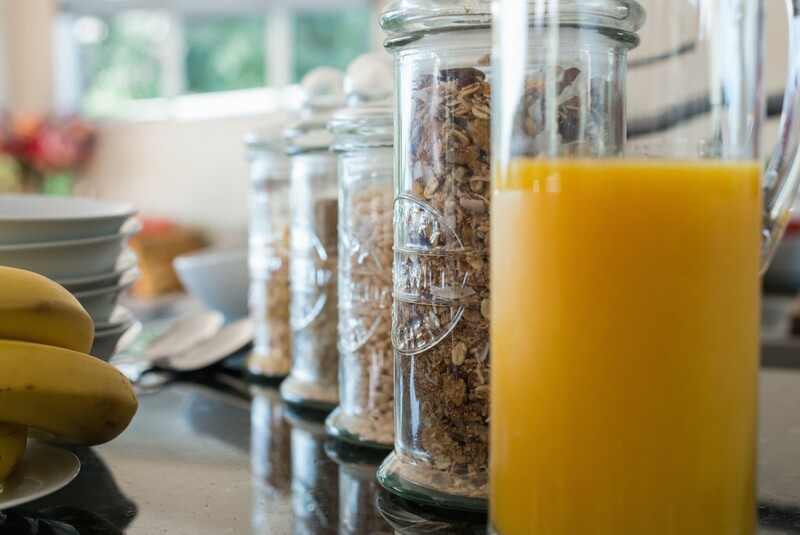 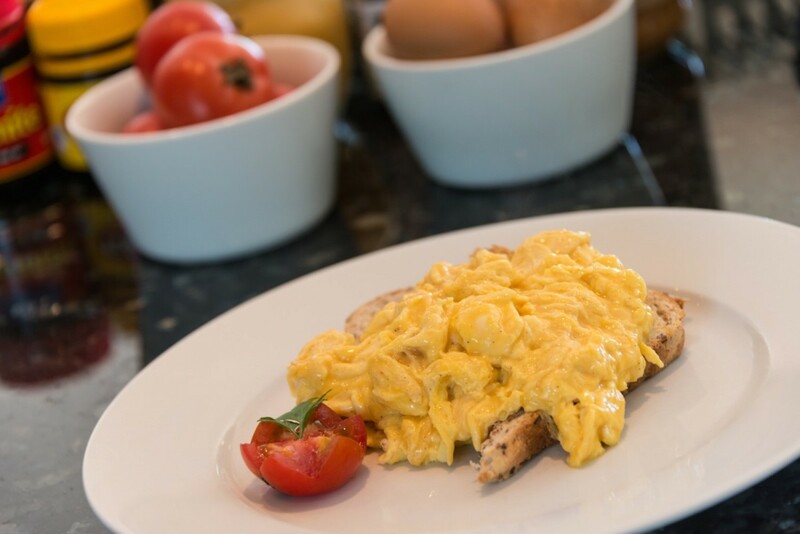 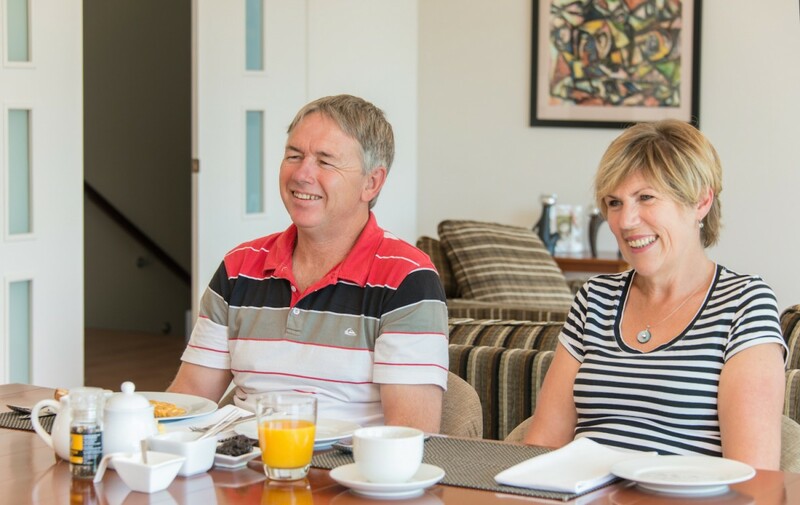 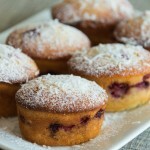 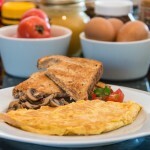 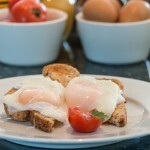 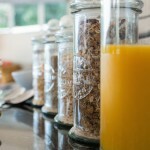 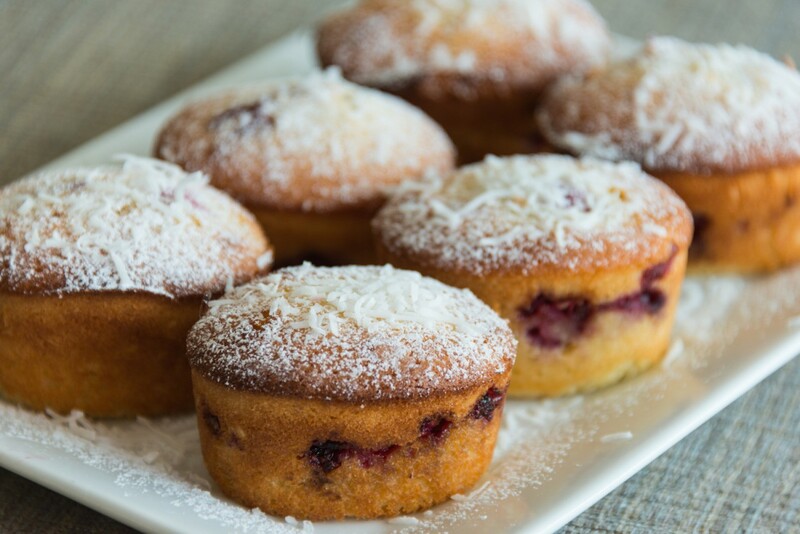 Creative breakfast with a menu selection cooked to order offered daily in our light and airy upstairs dining room. 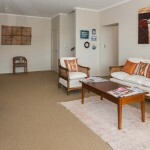 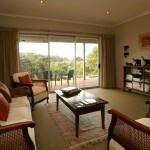 Adjacent to the guest rooms is a spacious comfortable lounge area with a good supply of DVD movies, books and magazines. 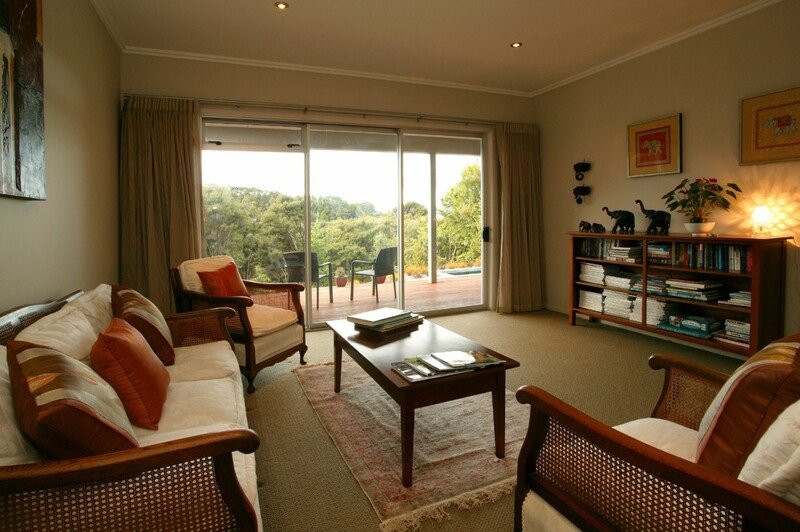 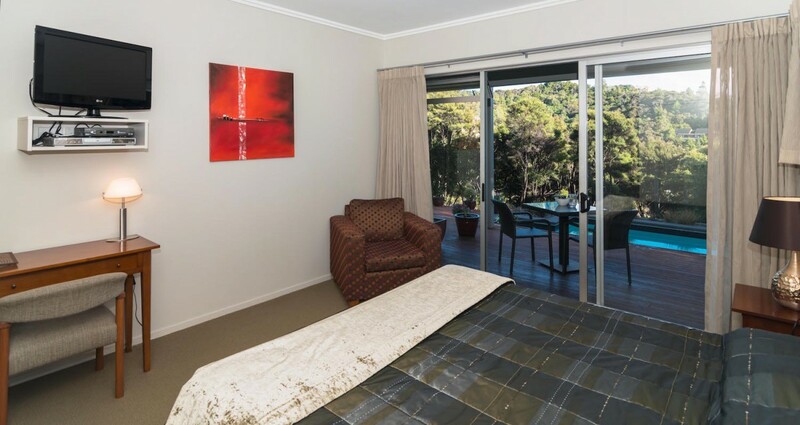 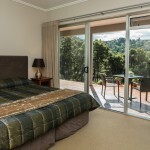 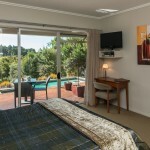 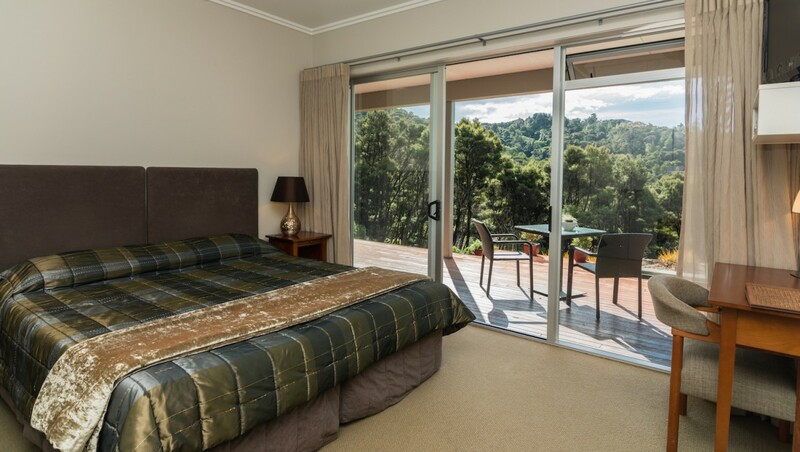 Each room opens onto a sun drenched deck overlooking the swimming pool and which leads down to the private sheltered garden area surrounded by serene peaceful bush and native birds. 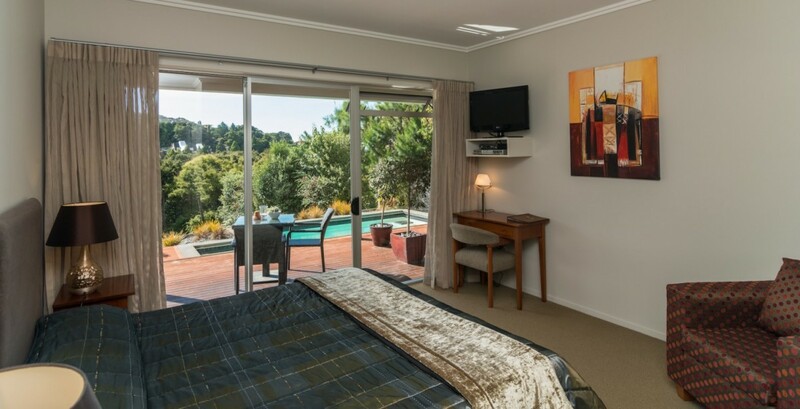 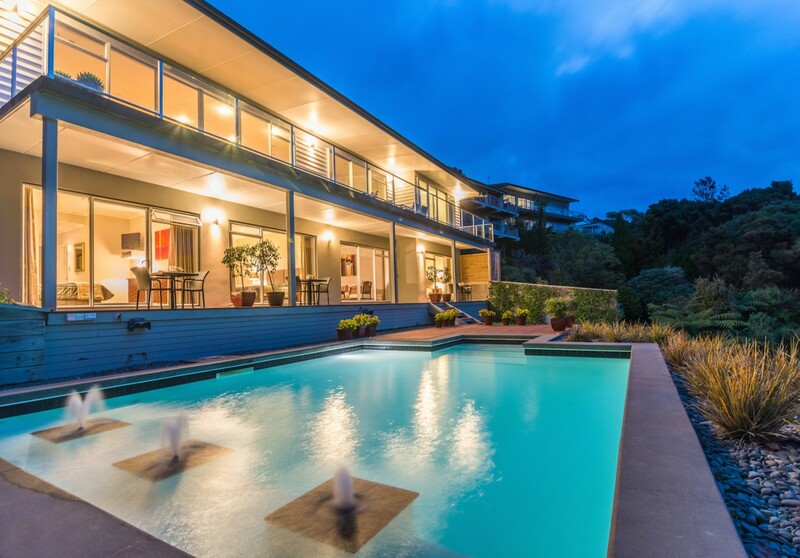 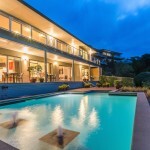 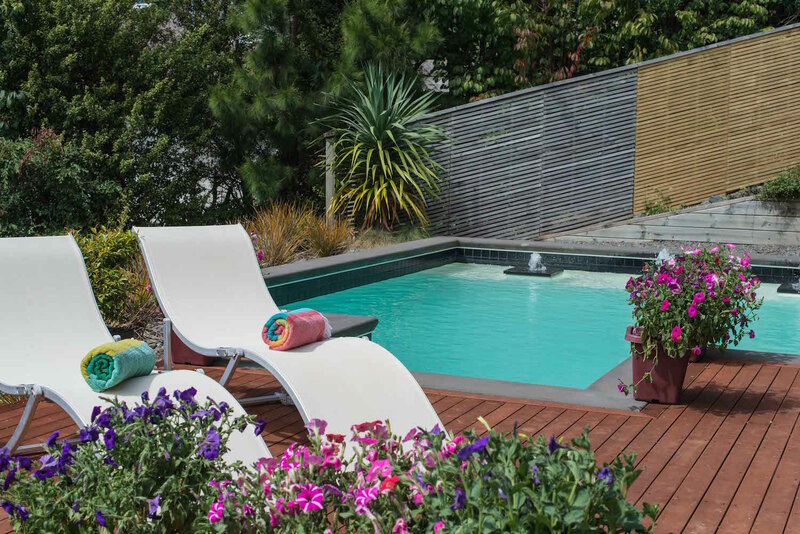 Views from the various decks overlook the pool and serene bush outlook on one side, also lovely sea views both of the immediate Paihia bay area and outer Bay of Islands from the upper decks. 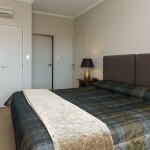 All rates are per room basis and include GST and breakfast daily. To check specific rates for period you require please check availability. 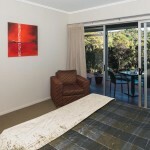 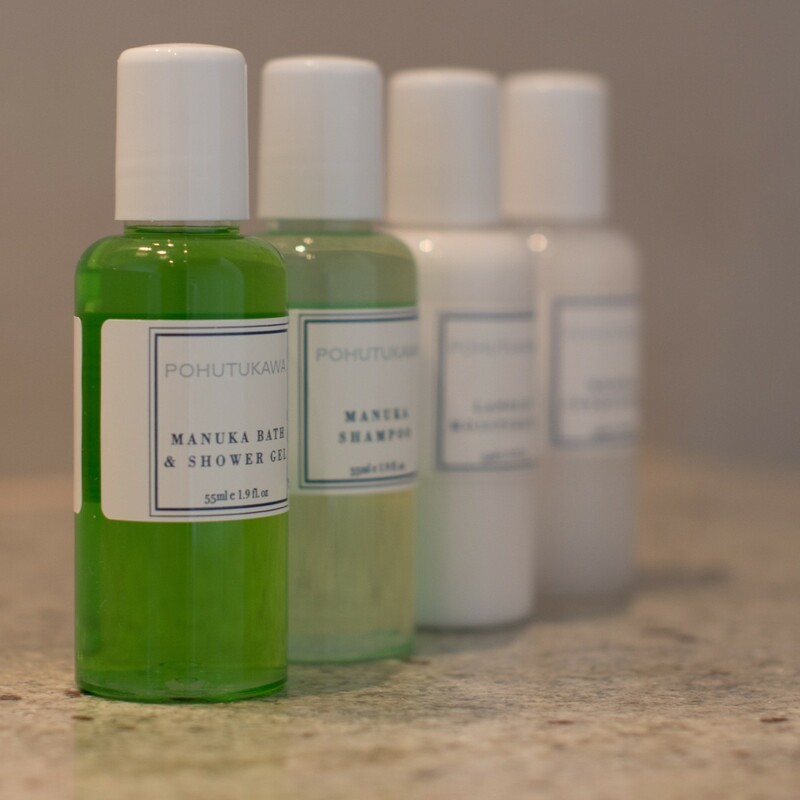 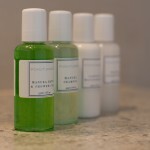 Cancellations can affect our business dramatically as we are a small accommodation facility. 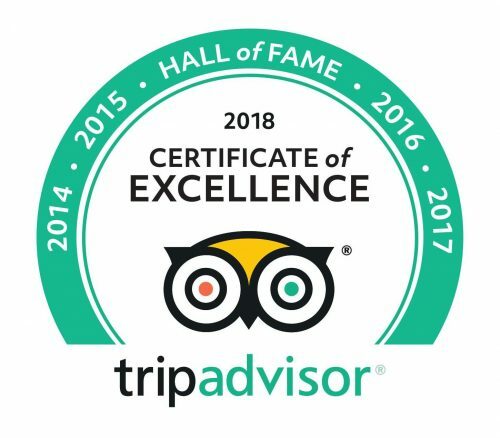 It is always recommended that good travel insurance be taken prior to your departure to cover unexpected circumstances affecting travel plans. 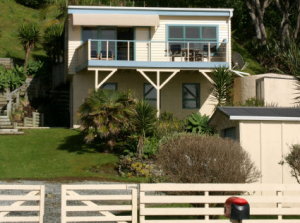 Cancellations received 30 days or less prior to arrival at Decks of Paihia will be charged at 100% of total amount of the original booking. 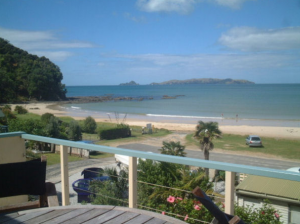 Decks of Paihia will endeavour to resell the cancelled nights. 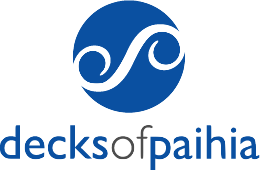 If resale of all or any of the nights affected is possible, these cancellation charges will be waived and/or refunded accordingly. 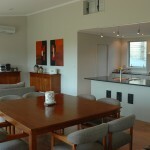 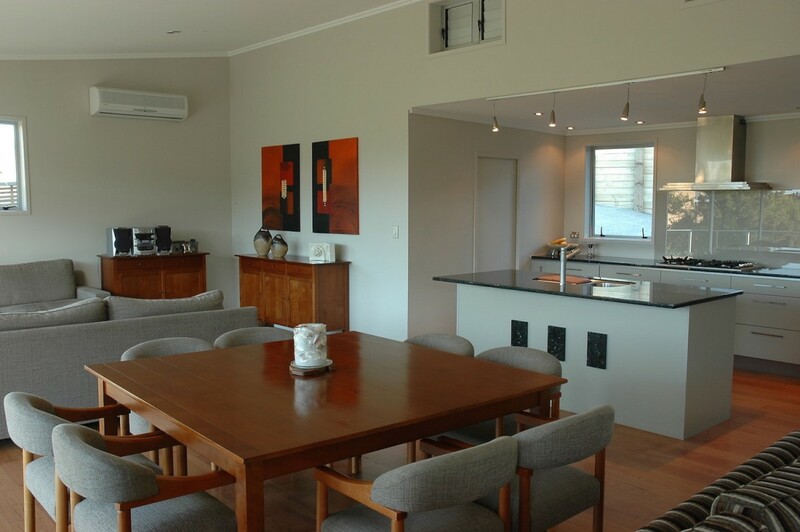 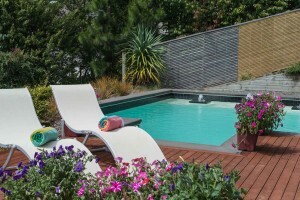 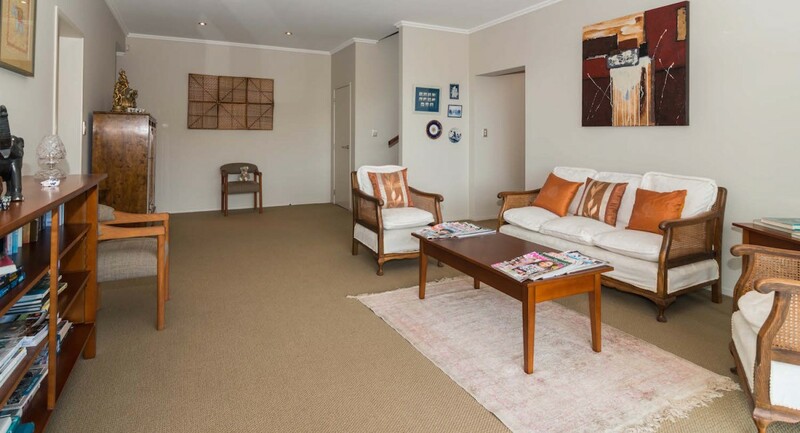 We also own and rent out a holiday home on the beachfront in Taupo Bay.